Save £5 on a £25 Amazon order today! 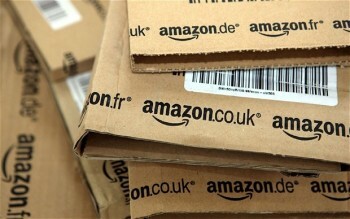 To celebrate being named Britain’s No 1 retailer for consumer satisfaction, Amazon is having a one day sale today. Long term readers may remember that they did a similar deal last year and the year before. You will receive £5 off any order of £25 or more using the code BIGTHANKS. Gift cards do not count, unfortunately. All items must be sold directly from Amazon and not from one of its partners. Our Amazon link is one of the ways we fund the site. If you buy something through this offer using the link below, you can consider your Shopper Points subscription for 2019 paid! The Amazon home page is here. Full terms and conditions for the offer can be found there. The offer expires at midnight tonight, Tuesday 19th March.